As a mother of sons I always jump when I see a great fabric line that will make a fabulous masculine quilt. Janet Clair's new line Ahoy Me Hearties was such a line. My parents have a pictures of an old fisherman rowing a boat with a small girl by his side. Once while staying at a beach house with my hubby the same print was on the wall framed by a ship's portal. 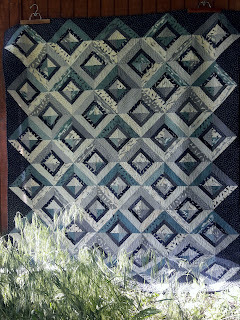 I used this visual as inspiration for this quilt. Quarter square strip blocks are sewn together to create the dark portal ring. While Janet's new line won't be in stores until October many of her other lines would work well for this quilt. My friend and tester, Julie did her's in Fig Tree fabrics and it is wonderful. I really need to get a picture of it from her. That's a great "guy" quilt. 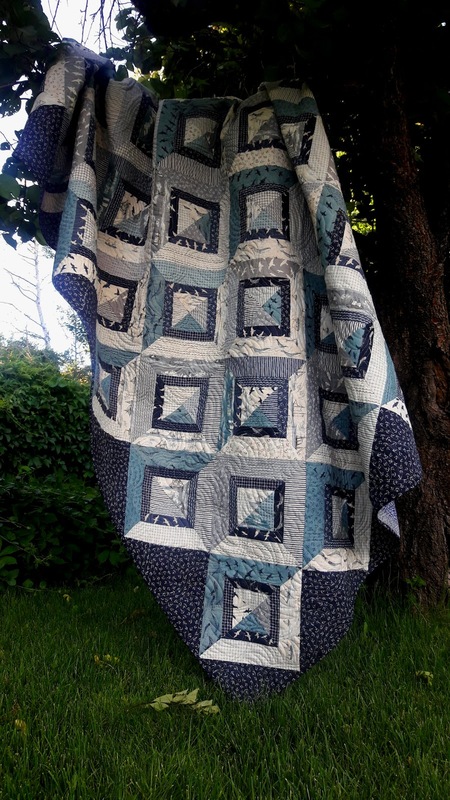 What a handsome quilt; perfect for guys! BTW, have 3 sons. 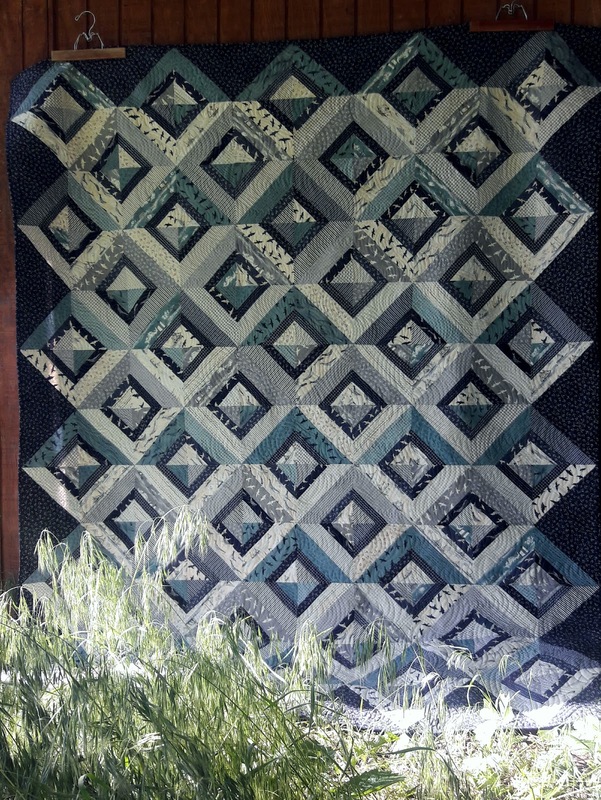 A very graphic looking quilt. I like the design.